Reflecting thoughts from recent issues that have come to the fore when working with people in different corporate positions…… Superior subordinate relationship, peer relationship, life relationship. For all off this, some basics, in approach, might help ease the pain. It is imperative to always remember, in such situations never, never, never should we argue, defend or justify one’s case. Instead we should try one’s best to have a, rapport built platform, for discussion. Here are my thoughts for “THE FEW”, who have asked on how to resolve such pain……. for the others, enjoy this slant on my perceptive to HURT…….. The surest way to become unhappy is to keep your hurt inside. If there is a secret to mental health, this is it: tell the people who hurt you that they hurt you when they hurt you. Hurt is the pain of the moment. Hurt is happening right now. Its cause is right in front of you. Hurt speaks for itself motivating you to limit your pain. Anxiety is pain in the future. It may happen and then again, it may not. Anxiety inspires you to get out of the way of danger. Withheld hurt turns into anger. Anger helps you express your hurt by energizing you to protect yourself. When you hold in hurt, you redirect your anger at yourself. Such inward anger is called guilt. It serves no positive purpose. It only makes you think of getting even, fills your head with bad thoughts, and erodes your self-confidence as you begin to doubt your goodness. Obviously the only anger that makes sense is still attached to the hurt that caused it. You need to learn to express your hurt as it happens. Telling someone how he or she hurt you can be risky, because the person who hurt you is probably someone you care about. What if the other person calls you “oversensitive” or tells you that your hurt is unimportant and doesn’t take your feelings seriously? If the other person doesn’t care about your feelings, he or she doesn’t care about you. The sooner you know this the better. Why waste more time? What if the other person says he or she hurts you out of anger because of being hurt by you? It’s a good time to discover the truth, clear the air and become friends again. What if the other person can’t remember hurting you or simply denies that the hurtful event ever took place? He or she may be telling the truth, because most people do not hurt others intentionally. When you are silent it is sometimes hard for others to recognize that you have been hurt. Expressing your hurt sometimes puts your love or friendship on the line. It always tests your love for yourself. It is always the right thing to do in any relationship that you value. Express your hurt as simply and as directly as possible when you first notice it. Tell the other person how you were hurt. You can mention that you are angry but don’t display the anger or attack. That will only hurt the other person, who won’t be able to listen, making matters worse. Whatever you do, don’t allow you’re hurt to age. If you cannot express your hurt to another person, you cannot express your love, for anger blocks positive feelings. If you value your love you need to express your hurt. Holding in hurt is the way that love dies. I was standing at the ‘Start Line’, waiting to hear the gun shot. I could feel my heart beat racing, pounding and my stomach twist into a tight knot. It was not a new feeling. I have felt this way every time I have had to stand there and wait to hear the gun shot before I begin my cross-country. I glance to my right and then to my left and make a swift glance at my competitors for a few seconds. I see fear in the eyes of few. 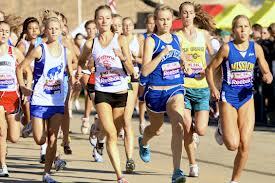 I realize I must concentrate and visualize my race in my mind before I begin. I have done this everyday and I then close my eyes and pray that I am the first one to sit on the bench that is behind me and drink a glass of glucose water. There is a blast in the air and I hear the birds in the tree tops shriek and flap their wings while they fly away. The race has begun and I hear the falling of footsteps which reminds me that I need to get ahead of the group for a great start and to avoid tripping over someone’s foot. I begin my initial trudge up the hill. My pace has slowed down and I begin to take longer strides. The first part of the race is an eerie phase. I can hear my breathing get louder and feel my cheeks get flushed. I am engulfed in hot air and I feel my knees go weak. I tell myself that I must go on. I lift my head up and I look straight ahead. I see the winding road and a yellow T-shirt ahead of me. I tell myself that before I reach the next curve I must cross the yellow T-shirt and I do it. As I run I begin to leave everyone behind and I look ahead and see a clear road. After I have completed a kilometer and a half I hear my footsteps fall flat with a thud. I realize I have reached the flat surface and from now on it’s going to be a run downhill. I try to loosen my muscles and I begin to take longer strides. Yet, I am conscious that my knees feel weak and I have got to still be in control lest, I get a pull in my side or have a tumble downhill. I enjoy this stage of my run as I take in the scene around me. I am running through a village and I see the smoke rising from the chimneys of the houses nearby. The smell in the air as I cross these houses tells me that they are preparing dinner. I see Badaga women leading their herds of cattle, chatting along in their language. I glance at my watch as I realize it must be late and I am running a race. I turn around and as far as I could see I see none of my competitors in a hot chase. It is now a race against my own time record. I cross the fields of carrots and I use my eyes to scan the ground below my feet. One wrong footstep and I could land in the stream flowing by. As I cross the small bridge I look into the clear stream and I see numerous tiny tadpoles glistening in the water. As I begin my last and final climb up the hill I feel my strides have become smaller, I can hear myself again breathing harder as I vent out a few moans. I look up and see the path way clearly while I smell the baking of bread. At that very moment I know that I have come to the end of my race. I am now so close to the dinning hall, the place where my race will come to an end. I make a dash to the ‘End Line’, amidst the cheers of spectators. Yes, I am the first to sit on the bench and have a glass of glucose water. The glucose water tastes bitter and I spit it out. I lie down on the bench until the pounding in my head that I feel stops. I am famished and I walk into the dinning hall. I sit at the table and I begin munching on a bun and rainbow cake, sipping a glass of milk. It is a sweet taste to my bitter mouth as I enjoy it. Like all good things must come to an end so shall this glorious and most exhilarating day. I am current working on a project with graduates from IIT on Self-Development; I thought I would share this small extract from a segment of my future book that is being used for the Graduate Development Program. The power of small deliberate daily actions. 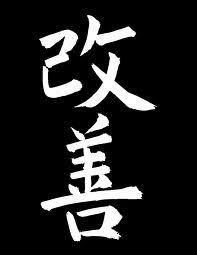 Kaizen means constant and never ending improvement in Japanese. There is no pursuit more noble or important than the pursuit of self- improvement. As Confucius said many years ago “good people strengthen themselves ceaselessly”. Consistent and constant improvement in all areas is essential to reaching your true potential the personal trademark of almost every high achiever and successful person is a dedication to daily improvement in both their personal and professional lives. From Ben Franklin to Mahatma Gandhi, from Martin Luther King Jr. to Ivan Lendl and from Nelson Mandela to Mother Teresa, effective people do things daily to advance confidently in the direction of their goals and dreams. You must also apply the Kaizen principle on a daily basis to condition your mind to peak performance. It has been said that the mind is terrible master but a wonderful servant. By seeking to improve your mind and condition it to excellence of thought, this wonderful servant will most certainly bring you all the peace, prosperity and joy you now search for. Study any great success story and you will undoubtedly learn of their commitment to Kaizen. They will be dedicated to small, daily improvements is the key of their lives and becoming the very best that they could be. Personal mastery is like a Bank Account; call it the personal Excellence Account. By improving daily, whether it is by spending some time exercising, reading, visualizing or forging better relationships, you are making regular deposits into your account. After only one month, for example, you will have improved the richness and quality of your world by at least 30%. And after a single year, your life will have improved by more than 365% (factoring in the power of compound interest). But when you sleep too much, worry too much, watch television too much or eat too much, you make withdrawals in your personal Excellence Account. We now have the choice of what level of Personal mastery we would like to have under our belt. The continuum stretches from Zero to One hundred percent. Friends to be at the cutting edge, we need to practice Kaizen every minute of our life.David Nair. A difference to the One Star fish! Are you the One? There was a man who lives by the beach, whilst he is in India he lives by Thiruvanmiyur beach, whilst he is in Malaysia he lives by Port Dickson and whilst he is in Australia, he lives by the Gold Coast. The man would normally take his morning walk by the beach, before Breakfast. One day, as usual this man got down to the beach, to proceed with his morning walk. No sooner did he hit the beach he was startled to see the beach was carpeted with Star fish, washed up from the previous night’s high tide. The man stepped toed past the star fish, as he started his morning walk. Each time he did take a step forward, the man would bend down pick up a starfish look at it and hurl the starfish back into the sea. He continued doing this for some time. Sitting on a little knoll was a small nine year old boy. He was perplexed at what the man was doing, from the distance, all that the boy could see was, the man bending down and stretching as he rises up. He could not see anything else. In the past the same boy was usually sitting in the same place, but never saw the man bend and as he rose up stretched his hand. The boy was intrigued so he came down from the knoll, and ran towards the beach. 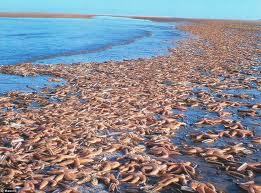 As he got to the beach the little boy was dumbfounded, to see thousands of starfish carpeted the beach. He now realized what the man was doing…. The little boy cried out to the man, “stupid man why are you doing that, wasting your time, why don’t you do your morning walk and go home for your breakfast, as it is not going to make a difference to the one starfish that you are throwing back into the sea”. The man ignored the cries of the boy…. The man continued to take a few steps bend down pick a star fish and hurled it to the sea… He did this a number of times. After each hurl of the man, the boy would cry out ““stupid man why are you doing that, wasting your time, why don’t you do your morning walk and go home for your breakfast, as it is not going to make a difference to the one starfish that you are throwing back into the sea”. The boy got furious now and ran in front of the man and shouted to the man as he was hurling anther starfish, “stupid man why are you doing that, wasting your time, why don’t you do your morning walk and go home for your breakfast, as it is not going to make a difference to the one starfish that you are throwing back into the sea”. The man ignored the boy and proceeded with what he was doing. The furious, angered boy approached the man held him in his hands and shouted the same cry again, “stupid man why are you doing that, wasting your time, why don’t you do your morning walk and go home for your breakfast, as it is not going to make a difference to the one starfish that you are throwing back into the sea”. This time the man slowly palmed the boy aside and picked up a starfish, holding it in his hands and staring at boy, retorted back saying, IT DOES MAKE A DIFFERENCE TO THIS ONE STARFISH…..
Are you that one starfish, if so, rise up, stand out of the crowd and make you mark? Because you have it in YOU to do, whatever it takes, just need to start that engine…Go out and make that difference first to yourself, then to your near and dear friends and finally to the community at large…..
Our thoughts build our personality, character and lives. 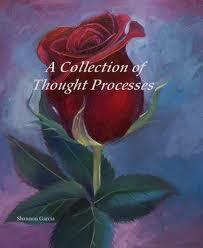 Our thoughts determine what we are and what we will be in future. Many find this hard to grasp, as we live in an era where substantiation is required before it is accepted. I shall endeavour to weave through this article and future articles on this subject with the hope in the end to provide a tapestry that would be enlightening, thought provoking and substantiated for the belief, “our thoughts are our building blocks to our life”. We need to be continuously worked and building the base. Many religions, philosophies, great thinkers, and high achievers affirm that we are actually the materialization of thought…. Thoughts in addition to forming the building blocks of life, they are the root source of personal power and it is through thought, that we attain personal success. One of Dr Norman Vincent Pearl’s mantra is ‘Think Success, Visualize Success, and you will set in motion the power force of the realizable wish.’ When this mental picture is strongly held it actually controls condition, circumstances and creates the environment to germinate that thought into reality. Just like an apple seed planted in the ground…. Unless the soil is tilled, roots & all debris removed, the soil watered, fertilized, cared and nurtured, only then will the seed germinate, and grow into a tree that will fruit thousands of apple in its life time. The same applies to thought, with a difference, it has a greater rate of return on investment, than what was derived from the apple seed. How many of us nature and create that ambience for that thought to flourish……This I shall be covering in future articles. As we journey through, our thoughts determine what we are and what we will be, our thoughts are our source of personal power, and our thoughts are our principle means of our successful achievements. It is these thoughts that can bestow upon us the gifts of happiness and pleasures. Thousands of years of wisdom, experience and observation have proven, beyond any doubt, that you will become what you think…. If we let our mind to drift, it will idly contemplate, like a river meandering through a flat plane as it approaches the sea. It begins to form distributaries…. The mind too will form distributaries…. 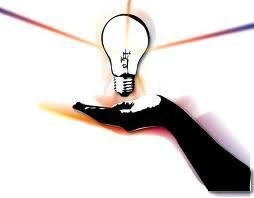 of thoughts / ideas, and none will surpass or materialize in any form…. As we work past Women Days, and the numerous messages that were volleyed around, this particular message caught my attention…. to the extent, I felt it appropriate to share it in open platform…. Ladies, my perspective, learn to love yourself more, learn to feel and be on par, if not greater than par, with the opposite gender. Learn to do this, without any cause, to argue, defend or justify. Then why need you question? It is on a silver platter, the only cause for concern is the lack of understand, appreciation and empathy…. For this please reflect on the message above and see how we the male gender leans on you …. So please be tolerant, we the male gender, will grow and in time learn that art of freely recognising and appreciating….Love David Nair.